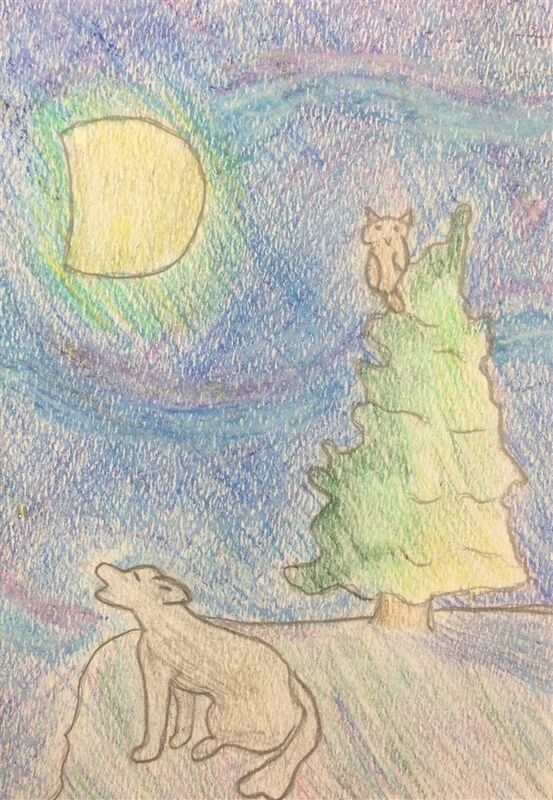 A group of Jackson Hole Classical Academy students from the 3rd, 4th, 5th, and 6th grades contributed to an art show for K-12 students at the National Museum of Wildlife Art. Their pieces are presently on display and will remain so through April 12th. 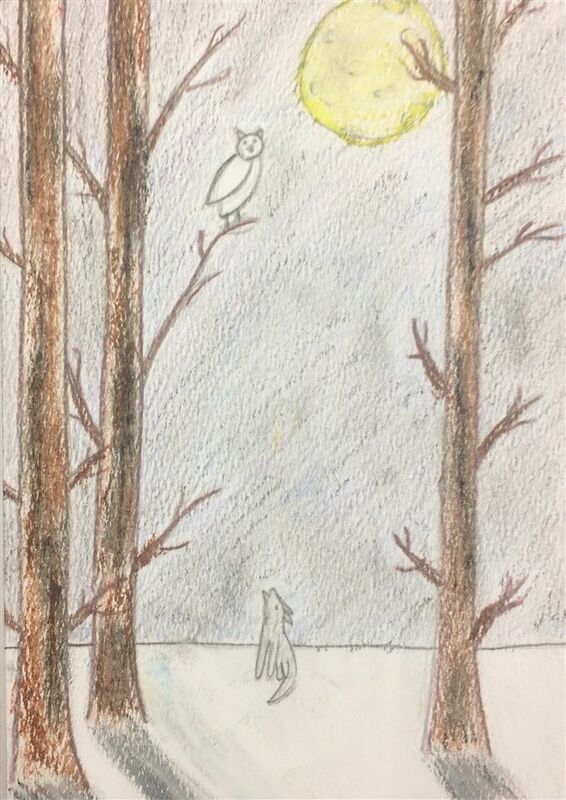 All the of the art in the exhibit present students’ takes on “Dreamscapes,” so there are sculptures, paintings, photographs, and more drawing out the theme of dreams and the internal eye. 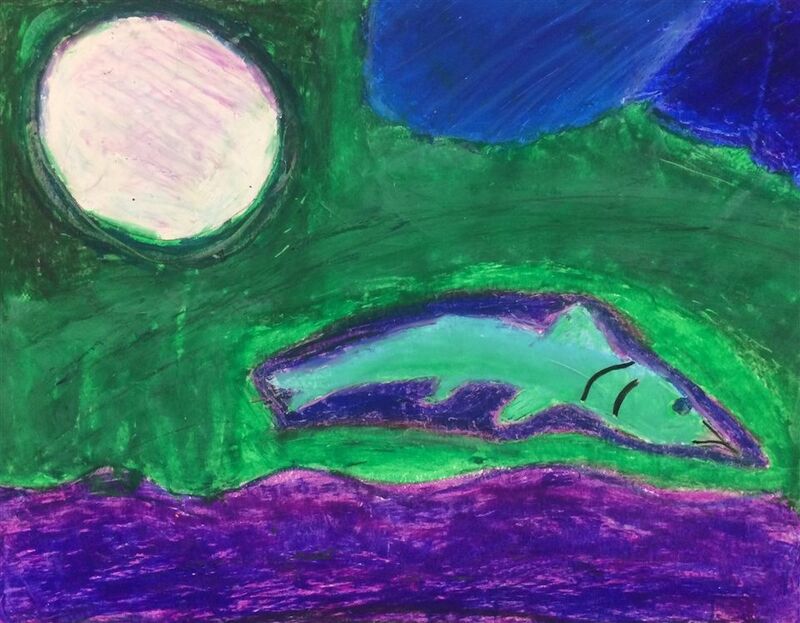 The topics vary widely from psychedelic self-portraits, images revolving around the human eye, and landscapes of nighttime animals. The show was unveiled with a grand opening which was attended by many of the art teachers of the area and students and their families. A jazz band of students from the community school performed, and the more than 200 works from local students were viewed and discussed widely. The students were thrilled to have their work showcased in such a professional setting. Stop by the museum and check out the show!